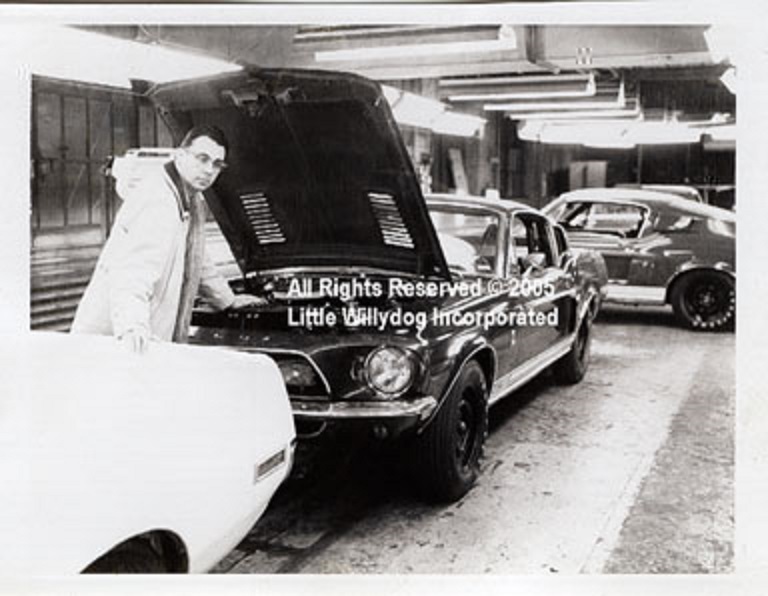 You may recognize the Mustang Mach 2 show car. It was one of Lynn Griffin's projects. This photo came from Lynn's private collection. Lynn Griffin was always interested in automotive design. He attended the Art Academy in Milwaukee, Wisconsin. His studies included industrial design, including the design of automobiles. Lynn did product designs for a company in northern Wisconsin. He designed apartment ranges, hardware for the ranges and space heaters. After meeting other designers in his field at trade conventions, Lynn was invited to work for Creative Industries in Detroit. Creative Industries did work for AO Smith and other car companies. The nose cones for Superbirds and Daytonas were designed by Creative Industries. He has over twenty five years of automotive design experience. There is no doubt, he is a very talented artist. 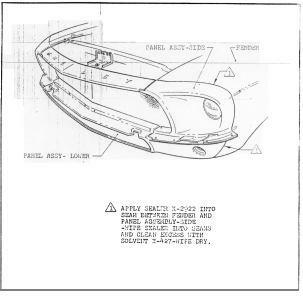 You may have seen the 1968 Shelby Engineering drawings. They were drawn by Lynn. KS: When did you work for AO Smith and for how long? LG: I began working for Mitchell-Bentley. I worked for AO Smith (later Dow-Smith) from 1963-1970. KS: Where you there when the plant shut down in 1970? KS: Where did you work and for how long? LG: I worked in the Graphic Engineering department. I did cost estimate drawings for bids and engineering. 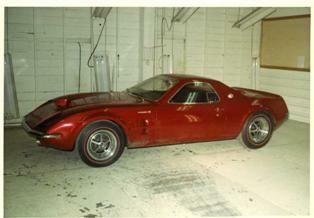 I worked on a variety of cars including Mercury, Buick, Oldsmobile and Corvettes. I also worked on Cougar sunroofs (XR7-G). We worked about 60-65 hours a week. I also worked on the Shelbys. KS: What were some of the problems you encountered? LG: Talented help in my department. Asked for and received two men from Creative Industries in Detroit. The rest were local boys and needed much attention. KS: Do you recall any of the special cars, like paxton supercharged cars? LG: I remember the "new" Cobra Jet engines for the GT500KRs. KS: Do you recall the 1968 aluminum wheels? Did AO smith install antennas? LG: Some cars had special order wheels. I don't recall items like that, because it did not pertain to my department. KS: The plant had multiple floors. Do you recall what was done on any one floor? How were cars transported? LG: Engineering was on the third floor, over the front offices. When the Shelbys were converted they were on this floor. The work done on the Corvettes was on the fourth floor. KS: Have you heard of a car that fell down the elevator shaft? LG: Yes, I recall a Corvette that fell from the third floor. Remember, we made no chassis, only bodies for the Corvette. KS: How many cars were built in a day? LG: Don't know, but all these cars were in very low production, one shift only. KS: Were you ever a Shelby owner? LG: Only a Mustang and a Thunderbird. KS: Did you ever test drive a Shelby? LG: Did not test drive. We had two Shelbys at our disposal, both white cars. One of my duties was a liason between Ford and Dow-Smith. KS: Did you know the cars were special in 1968? LG: Yes, the GT500KRs with the Cobra Jet engines. KS: What happened to the Mustang parts that were removed? LG: They were sent back to Ford. KS: Were you involved in the fiberglass installation at all? LG: No only the pictorials of all the parts and how they were assembled. Both the engine and body. KS: Do you anything about renumbering of 1969 Shelbys? KS: Did you work with Carroll Shelby or see him at Ionia? 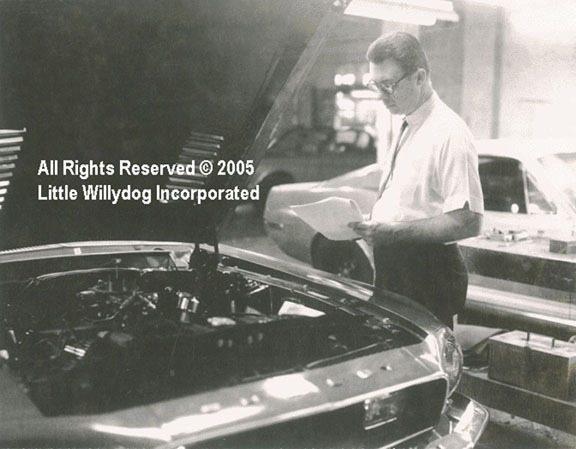 LG: Saw him occasionally with the Ford engineers. Thanks to Mr. Griffin for sharing some recollections. Some additional information from the interview will be posted at a later date. This interview was conducted by Keith Schadoff. Keith is one of the best vintage Shelby researchers in the country. I am proud to feature his work on the website. The story and picture are property of Little Willydog Incorporated. Please do not reuse them without permission. This of course, is only a small part of the puzzle.